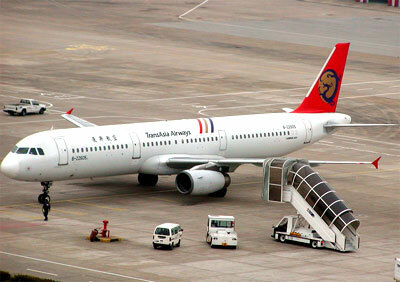 Transasia Airways is a Taiwan based airline with main hub located at Taipei Songshan Airport. The airline company begin operations in the year 1951 under parent company, Traser. Though most of its flight services cater to the domestic market, Transasia Airways also serve limited international flight services to Macau and South Korea and also provides charter flight services to several holiday destinations. TransAsia Airways flies to domestic cities in Taiwan such as Kaohsiung, Pingtung, Kenting, Hualien, Tainan, Makung and Kinmen. International cities include Busan, Jeju and Macau. Check flight schedule, flight status directly from Transasia Airways official website. You can also check on the cheapest airfare, flight schedule, flight status, airlines offices, contact number, airlines packages, air cargo partners, air ticket prices and booking procedure, international airfares, frequent flyer and other flight information and travel deals and packages. When you are making an airfare booking, select from either economy airfares, business class airfares or first class airfares whichever you prefer. Have a pleasant flight journey and enjoy your holidays or business trip!